We want your first visit to State College Orthodontics to be friendly and pleasant. Here's what you can expect when you visit our office. 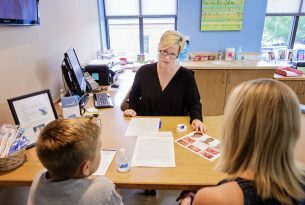 Our treatment coordinator will begin your appointment by introducing you to our office. After taking a few photos and digital radiographs, Dr. Ray will examine your smile. All of your initial questions and concerns will be addressed. Then, we will discuss whether or not you are ready to begin orthodontic treatment. We look forward to meeting you! Every insurance plan is different. Many insurance companies cover a portion of the cost of orthodontic treatment; however, some insurances offer no orthodontic benefit. As a courtesy, we will assist you in determining your insurance benefit for orthodontic service. With your permission, we will communicate directly with your insurance provider when it is helpful to you. However, our financial relationship is with our patients and their families, not their insurance provider. We strongly encourage you to contact your insurance company prior to beginning orthodontic treatment for the details of your specific plan. It is important for you to know that the insurance benefit is an estimated amount; it is ultimately your responsibility to fulfill any claims that are outstanding by the completion of orthodontic service. Charges for lost or broken appliances may not be covered by insurance. Successful orthodontics is a team effort and YOU are our key player! We have created our Frequent Smiler Program to recognize your commitment to orthodontic treatment and congratulate your winning achievements. 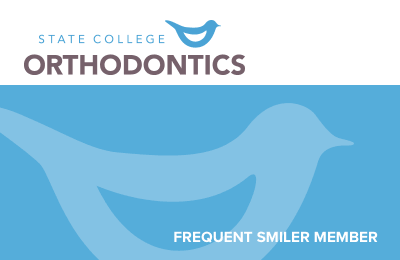 Our Frequent Smiler Program is an incentive program based on cooperation during your treatment. You set the bar… every visit is an opportunity to earn points and cool prizes.